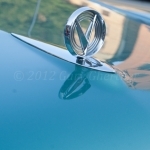 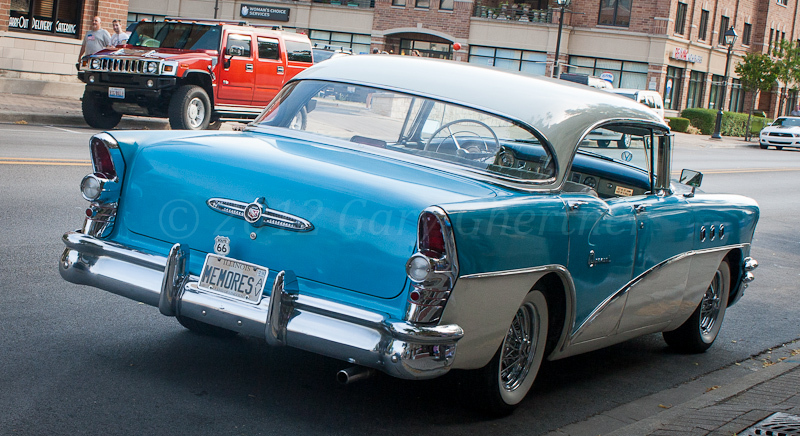 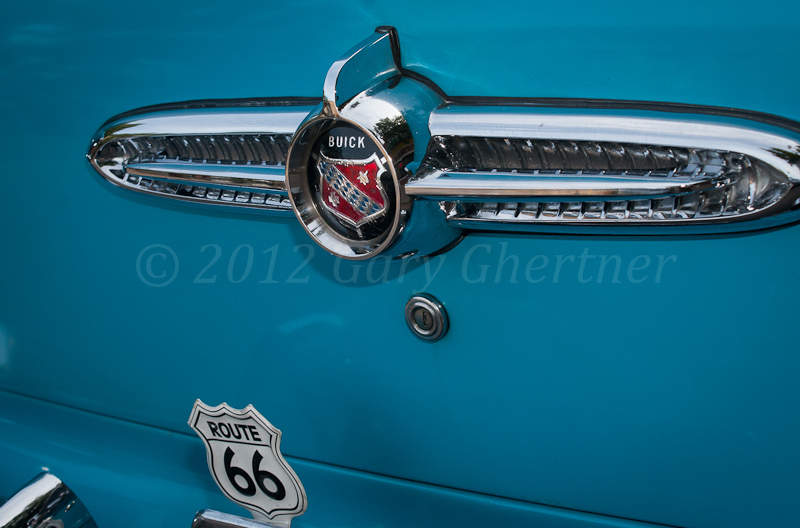 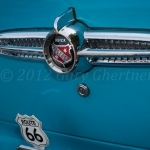 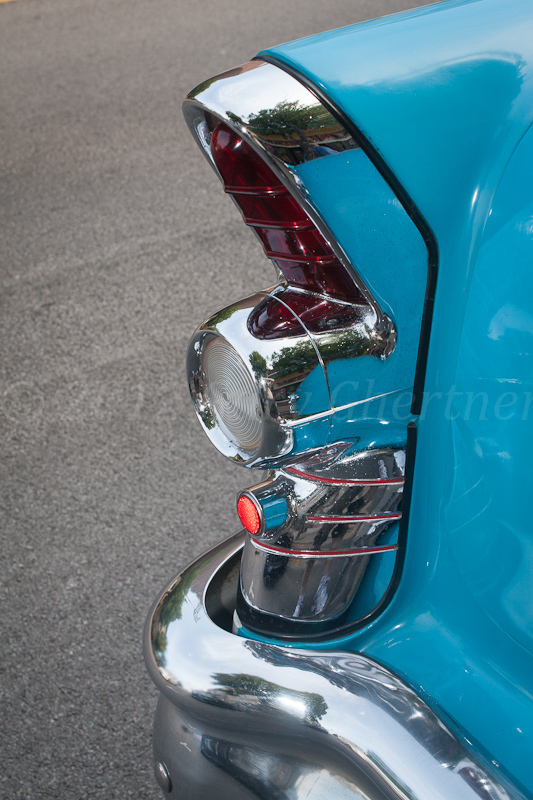 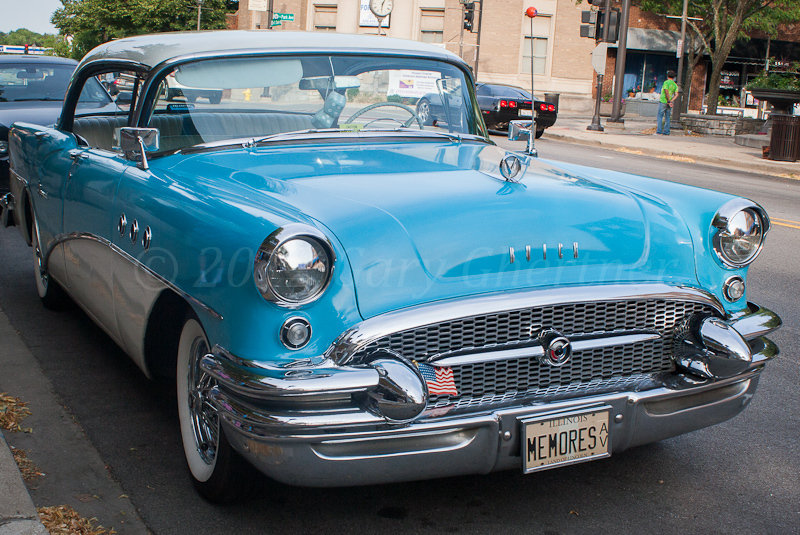 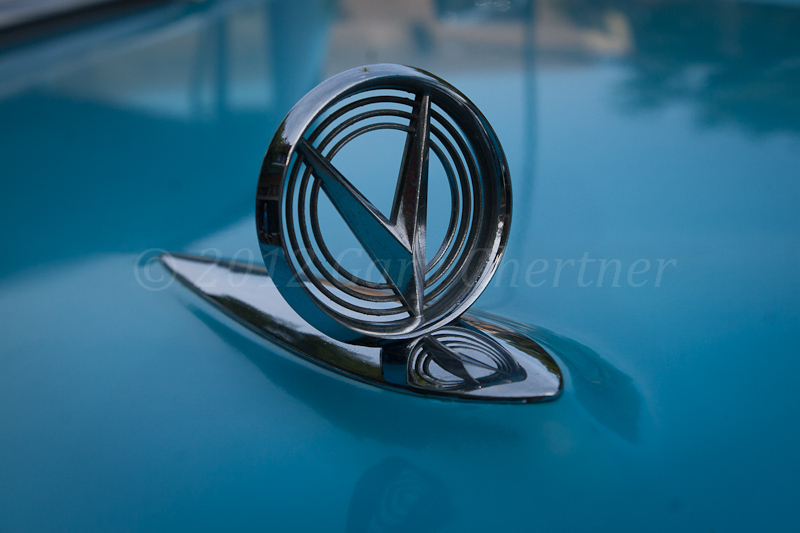 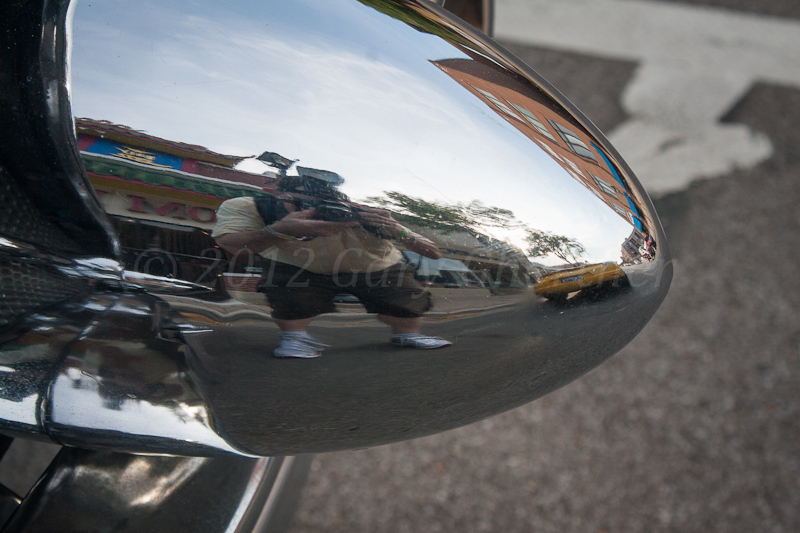 This blue & white 1955 Buick Special is a regular visitor to Cruise Nights and I’ve shot it in Lombard, Downers Grove and Westchester. 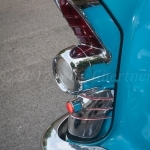 John believes ‘cars should be driven’ and a paint chip is annoying, it’s to be repaired and move on. 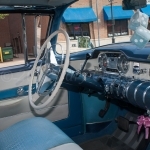 ‘Old blue’ is unrestored. 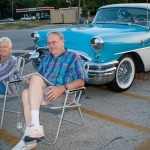 They’ve taken the Route 66 Ride from Chicago to Missouri near Edwardsville. 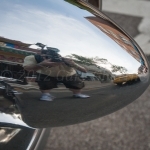 I’ll do research and add more information. 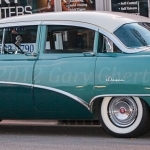 For now, just enjoy the car. 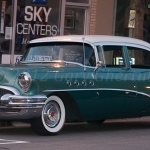 John also owns a Tri-color green 1955 Buick Super four door. 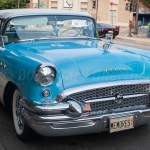 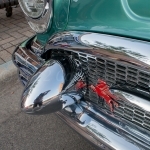 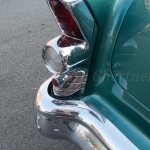 The 1955 Buick Super and Roadmaster were larger cars than the Special and Century. 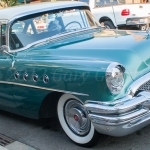 Four ‘holes’ sported by the Century, Super and Roadmaster signified a larger, higher performance ‘nailhead‘ V-8 motor than the Special. 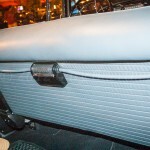 In this picture of the rear compartment you’ll see the center ash tray/cigarette lighter and straps for hanging blankets from days when car heaters were not the best. 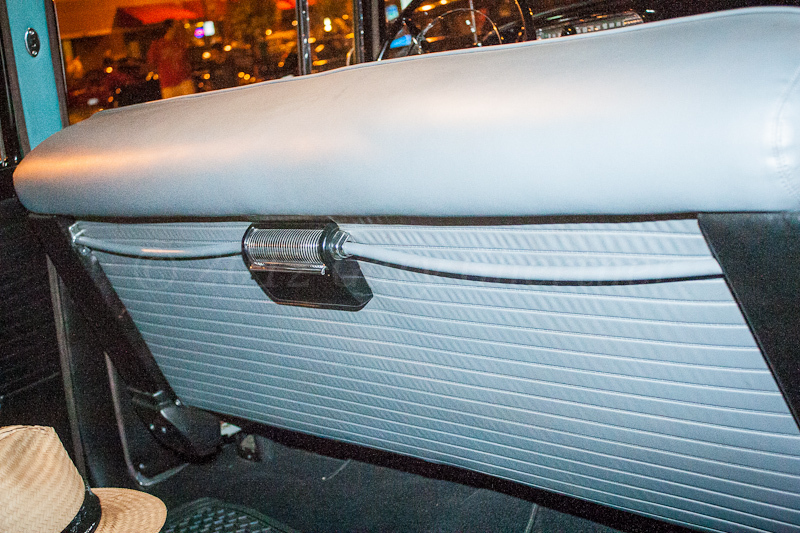 The transmission is a Dynaflow which doesn’t actually shift during acceleration rather it relies on a variable pitch torque converter, which took the place of the clutch. 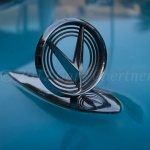 Buick was first with a variable pitch torque converter. 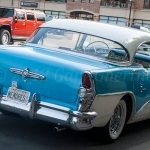 New for 1955 was a passing gear, engaged by flooring the accelerator. 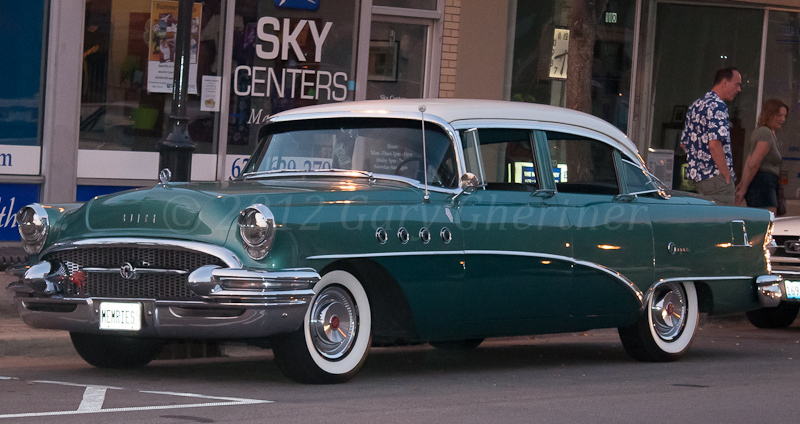 Sure there are photos (Blue & White here and Tri-color green here) and and I have linked a TV Promo from 1955 for a Buick Special here. 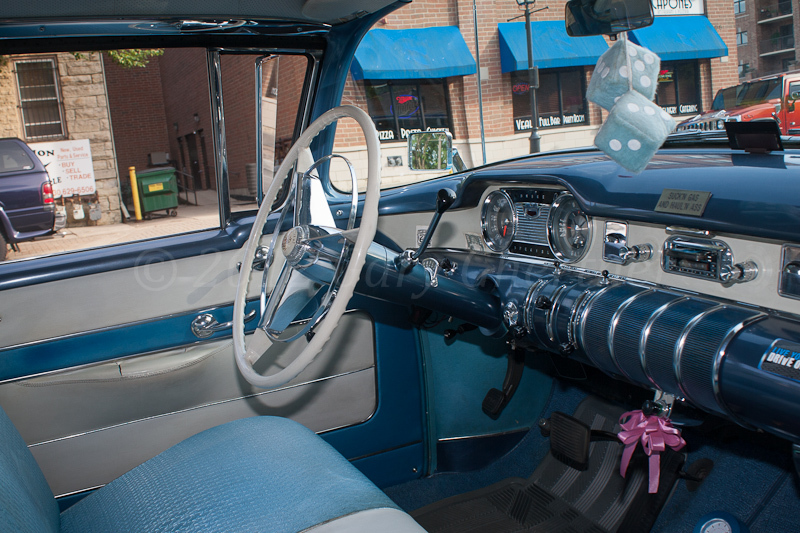 On July 7th when there was “No Organised Cruisin’, John brought his wife for dinner and they drove “Old blue”. 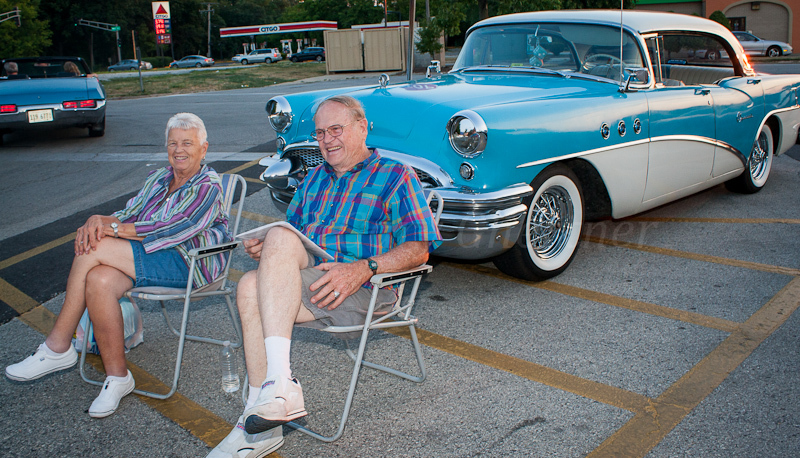 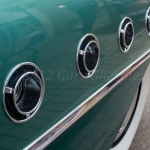 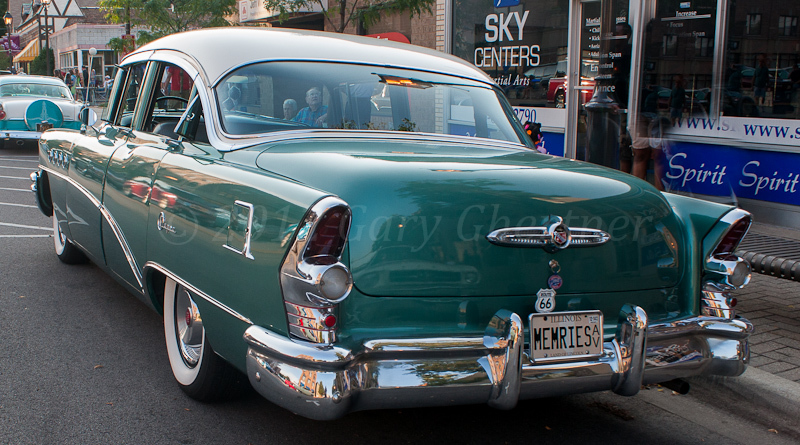 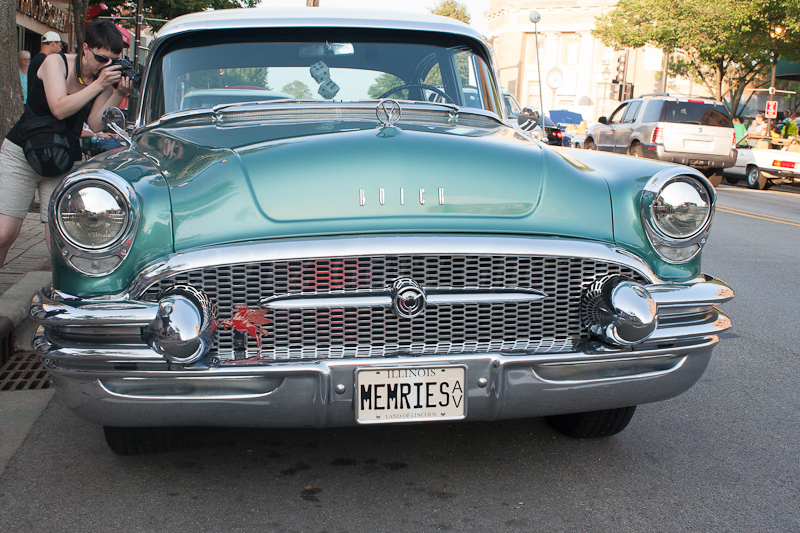 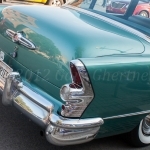 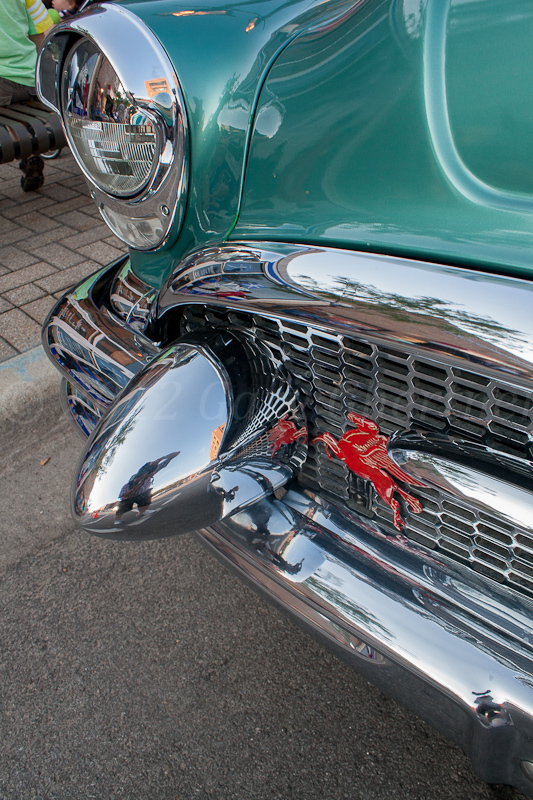 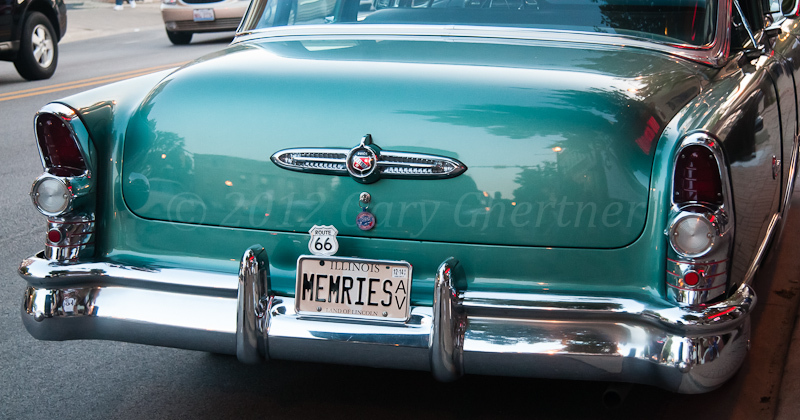 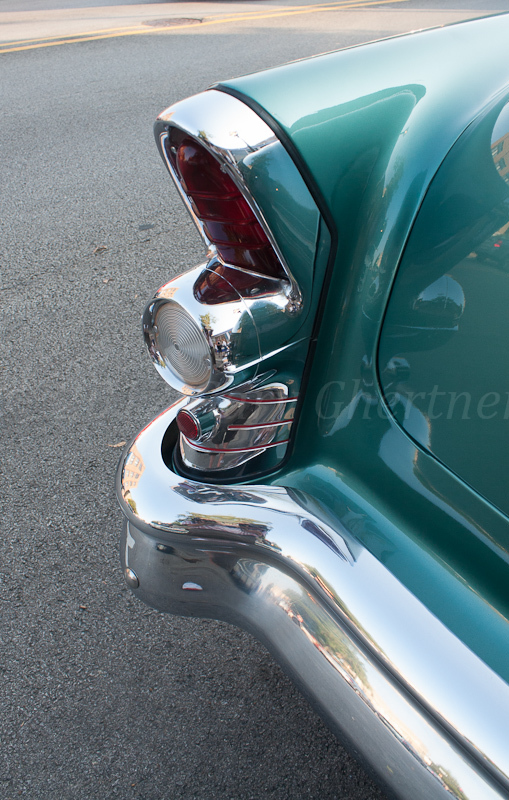 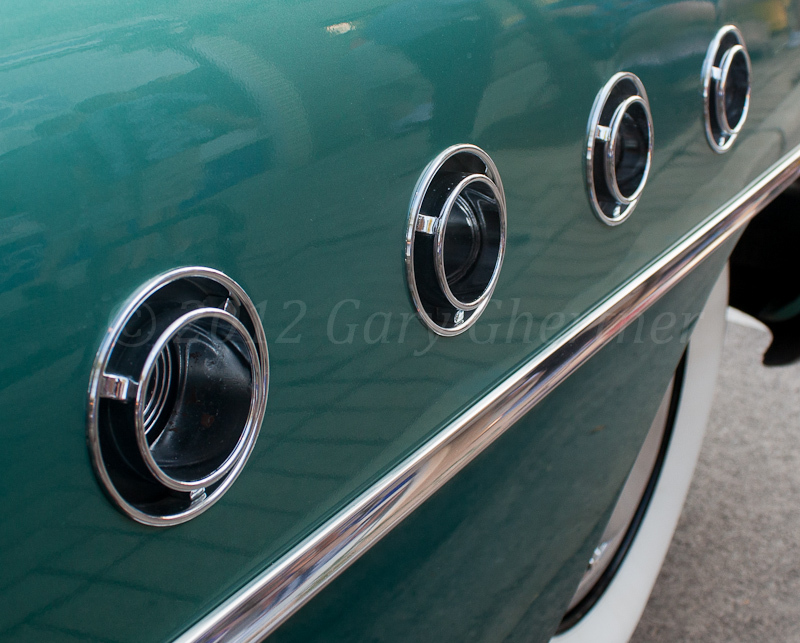 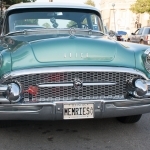 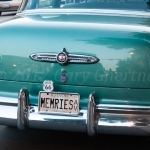 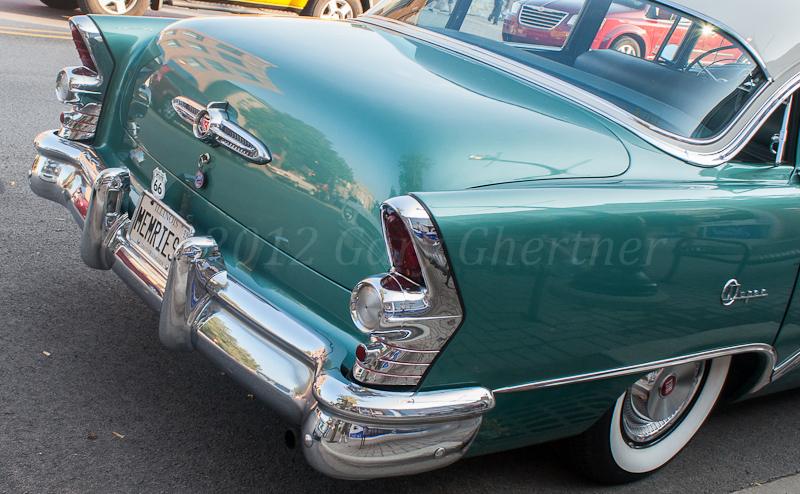 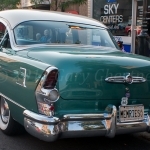 This week, they journeyed in a 1955 Buick Super, Tricolor green.